Opening hours: General shop hours are Monday-Friday 9am-5.30pm, Saturday 9am-5pm and most major outlets are also open on Sundays 11am-5pm. 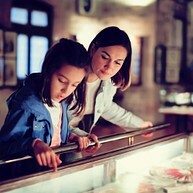 Adelaide is easy to get around and it offers a wide variety of attractions for all ages. Here you can learn more about world-class wines, admire the beautiful Adelaide Oval and watch a sporting event. 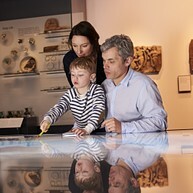 And why not learn more about the history of the country at South Australian Museum or at the Migration Museum. 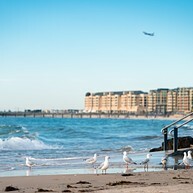 If you are longing for the beaches, take the tram to Glenelg which is a popular seaside suburb. All you need to do is to enjoy your holiday while exploring this amazing city! 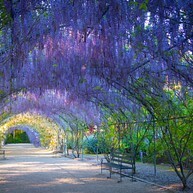 Opened in 1857, the Botanic Gardens modelled on English gardens and it features plenty of native trees and plants. The Bicentennial Conservatory that towers over the gardens houses a tropical rain forest environment and it is the largest glasshouse in whole Australia. 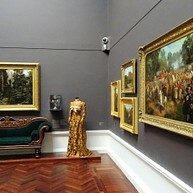 In the heart of the austere and monumental Victorian grandeur of Adelaide’s official buildings, this art gallery has a wide collection of Aboriginal art both traditional and contemporary, as well as colonial and modern Australian and British art. The main focus of the museum is the astonishingly ancient history of the land of Australia, with the Origin Energy Fossil Gallery displaying some of the oldest fossils in the world. You will also find extensive exhibitions on Aboriginal history. To get a true picture of the stories of the diverse ethnic groups that now make up the South Australian people, head for this museum full of fascinating personal stories of arrival in the new colony. Plus the story of the Aboriginal people. Tandanya, the National Aboriginal Cultural Institute, was the first indigenous owned and managed arts centre in Australia, established in 1989. The institute has exhibitions of Aboriginal and Torres Strait Islanders art from across Australia. The nearby Barossa Valley is Australia’s wine producing heartland, and this centre offers interactive exhibitions explaining the whole wine making process, plus wines to taste and buy. In addition, the surrounding wine yards are just beautiful to see and savour. The Festival Centre was built in 1973, as the venue for the Adelaide Festival of Arts, which is the city’s major arts event since its inception in 1960. The large modernist theatre complex is still the heart of the festival and its theatres are open all year, hosting different events and activities – check out their schedule and stay tuned. 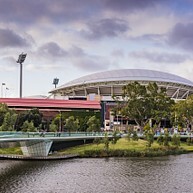 One of the most picturesque cricket grounds in the world, the Adelaide Oval, is home to the West End Redbacks, South Australia’s cricket team. It also hosts Aussie Rules football, rugby matches and concerts. Glenelg is Adelaide’s most popular beach destination, always buzzing with people browsing through shops, dining at sidewalk cafés and enjoying the beach. The port is also well worth a visit, as well as the many events going on there all year. Some of the most famous wine regions in the world are dotted across South Australia: from Shiraz in the Barossa and Riesling in the Clare Valley to the big reds of the Coonawarra, your wine holiday will be as rich and seamless as the wines themselves. 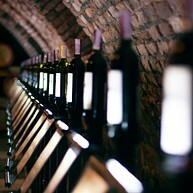 You will find more than 200 cellar doors open for you within an hour drive away from Adelaide. 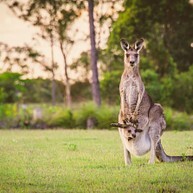 Cleland Wildlife Park has been a major tourist attraction since 1967, and it is a Conservation Park where you can interact with Australian wildlife. Here you can cuddle with a koala bear or hand-feed kangaroos and wallabies, while also seeing the famous waterfall Gully-Mount. Explore SA Maritime Museum’s great nautical collection, which already began in 1872. Here you will get a better picture of the life at sea for those immigrating to Australia in the early years, as there is also a replica of a ship with lots of artefacts and passenger stories to hear. With over 1,800 animals and 300 species, you will find yourself quite busy at Adelaide Zoo, learning more about animals like African lions, giant pandas, sea lions, kangaroos, American alligators, to only name a few. 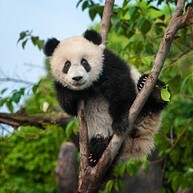 It is also interesting to know that the zoo is focusing on endangered and rare animals. 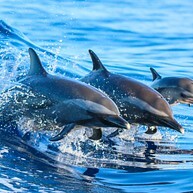 Temptation Sailing takes you to to the sea with a sailing catamaran, where you will get the chance to swim with wild dolphins or just watch these fascinating creatures in their natural habitat. This is once in a lifetime encounter, and a memory for life so do not forget yourcamera!